DKSH has completed the acquisition of the consumer goods distribution business of Auric Pacific in Singapore and Malaysia. The transaction is the largest acquisition since the merger of DKSH in 2002 and underlines DKSH’s strategy to acquire complementary and high-margin businesses. Zurich, Switzerland, March 29, 2019 – DKSH has successfully completed the acquisition of the consumer goods distribution business of Auric Pacific in Singapore and Malaysia. With this move, DKSH increases its exposure to the high-margin food service business and expands its presence in the consumer goods industry in Asia. 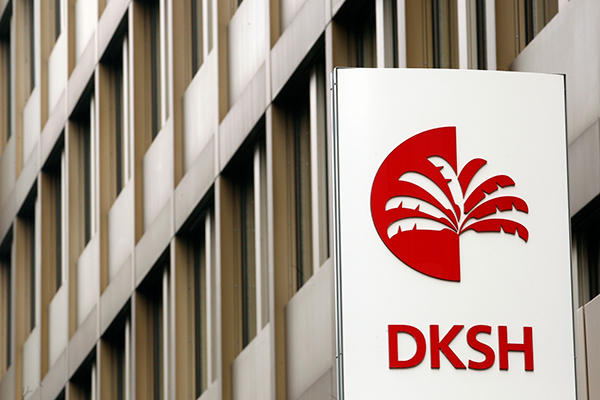 DKSH announced the acquisition in December 2018 and has now closed it according to plan. Shareholders in Malaysia voted with a clear majority in favor of the transaction at the Extraordinary General Meeting late February this year. Also, all other conditions were fulfilled, and regulatory approvals obtained. The consumer goods distribution business of Auric Pacific generates net sales of around CHF 185 million with an operating profit (EBIT) of approximately CHF 14 million. DKSH is acquiring 100% of this business in Singapore and Malaysia for a consideration of around CHF 160 million.¹ The business will be fully consolidated as per April 1, 2019. By bringing together two highly successful and complementary companies, clients of DKSH and Auric Pacific can benefit from broader market coverage and regional exposure as well as gain access to a wider range of customers. DKSH is the leading Market Expansion Services provider with a focus on Asia. The Group helps other companies and brands to grow in the Consumer Goods, Healthcare, Performance Materials and Technology sectors. DKSH’s portfolio of services includes sourcing, market insights, marketing and sales, distribution and logistics as well as after-sales services. Publicly listed on the SIX Swiss Exchange, the Group operates in 35 markets with 33,000 specialists, generating net sales of CHF 11.3 billion in 2018. With its strong Swiss heritage and long business tradition since 1865, DKSH is deeply rooted in Asia Pacific.